One of the ways we differentiate ourselves from our competitors is by offering an installation service, as well as design and manufacturing services in order to ensure full cohesion throughout the project. Working with same team from the initial design right through to installation means you can count on quality and service from start to finish. Communication is key, and by keeping entire projects in-house, we’re able to provide one of the most efficient installation services in the industry whilst also taking total accountability. Our highly experienced installers are managed from our head office and are supervised by dedicated project managers. 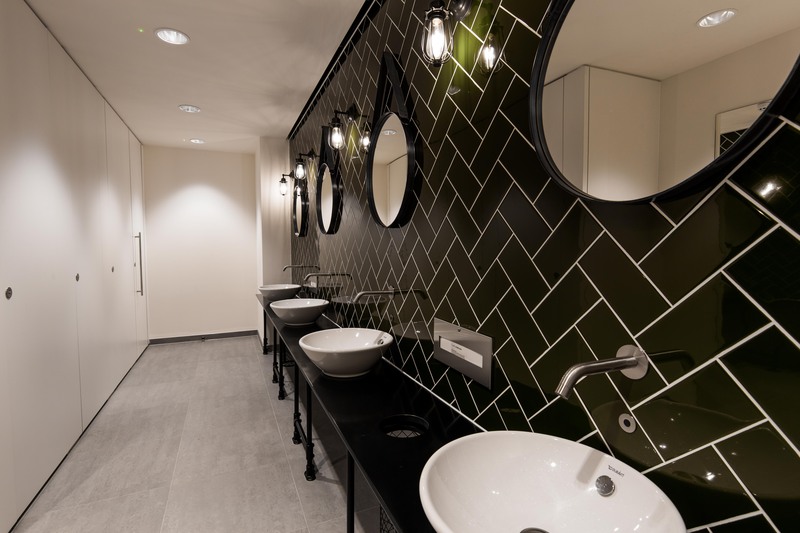 And with a full understanding of our materials and product range our installation team can make any minor alterations on site where necessary to ensure a perfect fit and guaranteeing the high quality finish you’d expect from Washroom. Where possible, we accommodate change requests throughout the process to ensure that the finished design fits a given brief perfectly and what’s more, we’re always on hand once the installation is complete to answer any questions you may have. Take a look at our case studies to see how providing a cohesive service from a project’s start to finish ensures a high quality finish. Receive our newsletter, plus all the latest project and product info from Washroom Washroom.